Monica has landed herself in the big house in the clip. 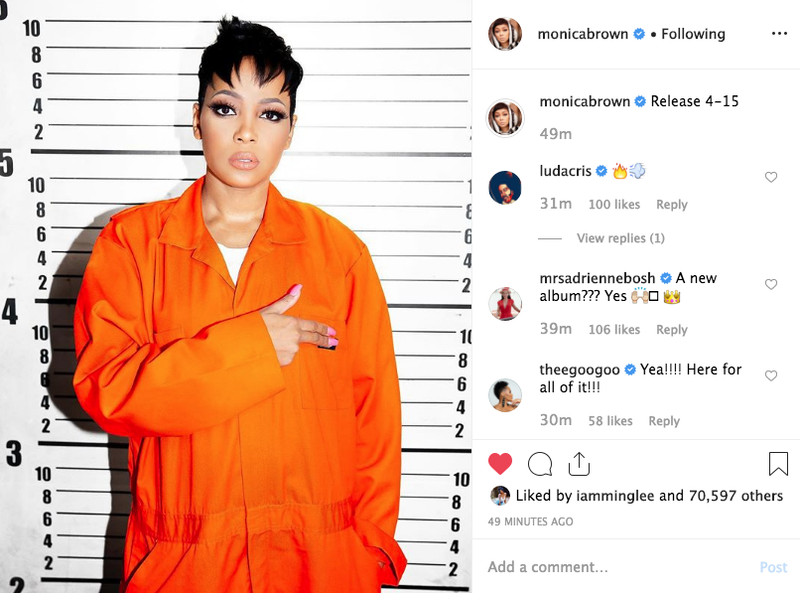 As he preps the arrival of her Chapter 38 studio album, R&B veteran Monica has dropped off her latest single “Commitment” back in January, a guitar-driven ballad that serves as a proper entrance from the singer for the 2019 run. Today, Mo drops off the accompanying video for the track. The video comes at an interesting (and also very smart) time in Monica’s life. Confirmed reports indicate the singer filed to end her 8-year marriage to ex-NBA player Shannon Brown. The two married in 2010 and commenced dissolving their union back in 2018 through a legal separation. The rumours of trouble in paradise have been circulating for a while now and divorce papers were officially filed in early March of this year. Around that time, Monica posted a cryptic caption on her Instagram, hinting at a need for some alone time. Take a look at the video for ‘Commitment’ below and let us know what you think. ISSA BOP OR ISSA FLOP?